I don’t follow too many other food blogs. Not sure exactly why. I just don’t. Part of the draw to food websites is the photography…so little by little, I’ve made some improvements around here. First, I started using only natural light, no flash and taking the pictures from different angles. I also learned from my time at General Mills…and a few more things from when I visited the Smuckers headquarters. Second, I invested in a fancy schmancy lens for my camera (a gift a few years ago). Third, I received some super cool lights (that I keep in my kitchen to use when photography in “bad light”) for Christmas. While the equipment I have now is expensive, I believe it’s a worthy investment! Here are a few links to some articles/sites that I have found helpful on my journey to better food photography!!! Check them out and BE AWED and INSPIRED!!! If you want some more tips, Lolo, who writes veganyumyum.com, takes AMAZING pictures of her food. If you go to the About section, she has some info on her picture-taking. I was just thinking yesterday that your French toast photos were beautiful- thanks for sharing your resources! Your pictures have improved SO much since I started following your blog in April! They were great before, but now they are INCREDIBLE!! 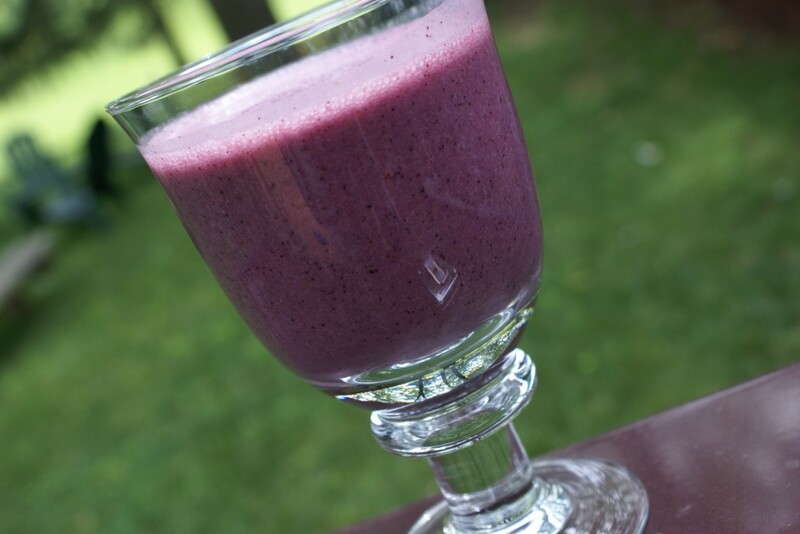 Your smoothie picture made me laugh, because I fixed smoothies for breakfast this morning that looked exactly like this one in and I had it in this very glass!! Great minds think alike—LOL!! Have a great time in the south! I’m just sad you’re not coming anywhere near me in Arkansas. Good Luck with the warmer weather we just got 8 inches of snow so far here in Dallas/Ft Worth. It is suppose to be better on Saturday in the 50’s I think but not sure with all this snow.